Could you benefit from an improved relationship with food and body image? Most likely the answer to that question is yes. Thanks to society’s obsession with food, diets, and narrow definition of beauty, many individuals are at war with their bodies. Unfortunately, this “body war” can lead to hating your appearance and even a potentially life-threatening eating disorder. One week every year is dedicated to Eating Disorder Awareness spearheaded by NEDA, an association dedicated to the education and prevention of eating disorders. In response to the association’s invitation to help raise awareness and improve wellness, I encourage everyone to practice the Three D’s to Body Esteem! 1. DITCH THE DIET MENTALITY: For the average person, diets are not effective or healthy means of weight control. Most diets wreck metabolism and many take a hefty toll on emotional wellbeing. 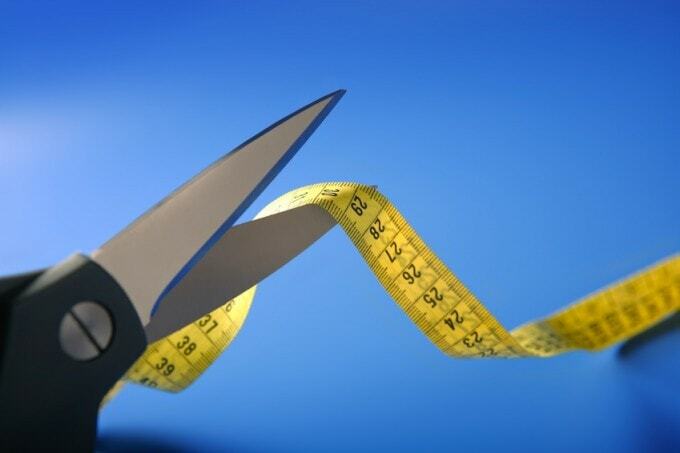 Diets are notorious for encouraging extreme calorie restriction or elimination of particular foods/ingredients. Think about it, when you completely omit a food (usually an enjoyable one) the craving for it increases. Guess what happens when the food craving evolves into a blinding urge to taste it? You’re likely to not only eat the forbidden food but to eat a lot more of it. Afterward comes the diet crash: feelings of shame and failure. Also, diets often rely on external sources to tell you how to eat (calorie/point counting, obsessive weigh-ins, measuring food, etc.). Learning about healthy nutrition is important, but the fact is some days you need more food, some days less. An external source cannot always tell you what your body needs nutritionally. What’s more helpful is learning how to recognize hunger and satiety cues. There is a difference between emotional hunger (such as eating out of boredom) and true physical hunger. Problems with weight aren’t usually caused by hunger issues alone. More often problems arise from underlying emotional issues that become tangled with unhealthy eating behaviors. 2. DEEPEN YOUR DIALOGUE: Both dialogues with yourself and with others are important for a healthy body image. Pay attention to the conversations you have with friends, in front of your children, or with your co-workers. Often topics of food, diets, and weight creep into discussions only adding to the already body-conscious obsessions. Elevate your conversations with others to discuss the many interesting things about you that don’t include a diet! Negative self-talk is poison to self-esteem and half the time these inner thoughts can be out of your awareness. Pay attention to how you negatively examine yourself in the mirror, criticize yourself, and magnify any perceived flaws. Once you’re aware of the inner critic, you will have the power to catch the harmful thought patterns and correct them to healthier, more realistic ones. 3. DAILY AFFIRMATIONS & SELF CARE: As mentioned in the second “D,” positive self-talk is key to improved body image. In addition to challenging distorted thought patterns, daily affirmations are critical. Many individuals experienced years of negative messages and these statements must be diffused with positive messages said every day, sometimes several times a day. For example, try stating “the size of my pants does not determine my self-worth.” For more body image affirmations check out these great examples by blog, Mom It Forward. Self-care doesn’t stop with working on the emotional, it also encompasses healthy nutrition and activity. Instead of seeking nutritional guidance from a diet regimen, try educating yourself on food groups and how to incorporate a variety of food items into your diet — ditch the extreme restriction. Exercise doesn’t have to be a cumbersome routine, try getting active doing physical activities that you actually enjoy. If you are battling an unhealthy relationship with food or body image, try this online screening tool offered by NEDA and SMH (Screening for Mental Health) as a first step in eating disorder assessment. If you are struggling with food or body image issues, healthy change is attainable. Please do not hesitate to speak to a trained professional such as me about your struggles. Happy Wellness!